This has been building since Apple’s acquisition of Beats in 2014, but after WWDC, I think things are starting to come into clearer focus. Apple is now transitioning from dominating the declining business of purchasing music to dominating multiple areas in the field. But it goes deeper than that. They are building toward something. I think they are currently moving their chess pieces across the board to set up a final checkmate on the big-label recording industry, which will in turn, squeeze competitors like Spotify in ways they will have difficulty combating. Beats was the first dominoe to fall, but so far Apple hasn’t radically re-invented the company. Yet. We have actually seen a few more Beats products that garner positive reviews over the past two years, and there is now some obvious cross-pollination between the Apple and Beats brands, with the same W1 chip in the AirPods showing up in the BeatsX, Beats Solo3, and Powerbeats3. I think we will continue to see this kind of parallel development, with Apple covering multiple bases, branding and tuning devices suited to different kinds of users, and hitting different price points. However, the most important thing that came with the Beats acquisition was even more industry credibility, especially with artists. Case in point, HBO is running a commercial right now for a new four-part documentary called The Defiant Ones, which is all about Jimmy Iovine and Dr Dre. Now that’s the right kind of publicity. Apple didn’t just buy a speaker and headphone company with a fledgling streaming music service in Beats. Apple bought the influence that these two guys have thoughout not just the world of music, but also popular culture at large. The artist lineup for this documentary includes Bono, Eminem, Nas, Ice Cube, Gwen Stefani, Tom Petty, Trent Reznor, Snoop Dogg and Bruce Springsteen. Think about the breadth that this group spans in terms of both time and music styles. That’s just the tip of the iceburg of musical giants who these two have worked with. At the end of the day, it all comes back to Iovine. He had the foresight to back Dre early on in his career, and the two teamed up to forge a $3 billion empire. Apple bought THAT. Apple Music was the absolute worst kept secret in the industry before it arrived. As soon as Apple acquired Beats, everyone KNEW a streaming service was coming. Despite some first-year growing pains and confusion over how Apple’s various music products work together, they came through with solid early growth. After last year’s complete revamp of the app, Apple Music really hit its stride. The app is much easier to use, music is easy to search for and access, and Beats’ specialties, their curated playlists and Beats One Radio, are easy to find and use. I use it, and I’m very happy with it. Despite Apple Music’s fast improvement, implementation across Apple’s popular platforms, and relatively fast rise to second place in streaming music, they are still WELL behind Spotify. According to this article from Business Insider, they have a little more than half as many subscribers as Spotify as of today. On the surface, this could be seen as a problem. 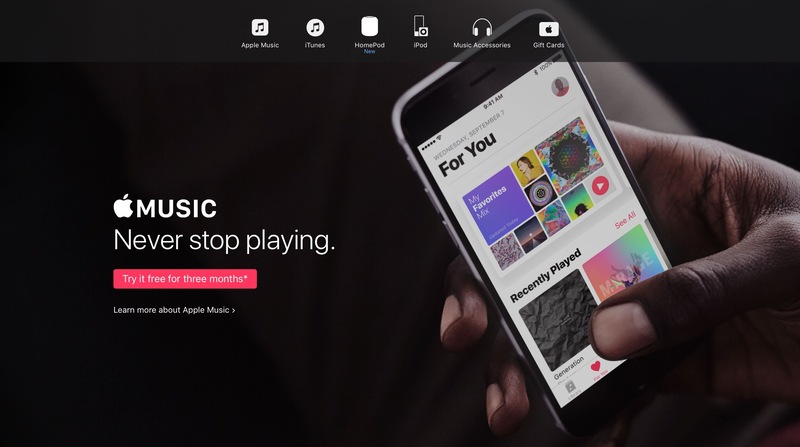 Even though Apple Music is generally well-reviewed now, its subscription rates are very similar, and its music catalog just as big, they aren’t catching up in this two horse race. If I am right about what Apple is up to, this numbers disparity won’t matter in the end. The important thing for Apple was to become number two in streaming in short order, and they accomplished that goal very quickly. No other music subscription service is really within striking distance at this point, and only Amazon through their popular Prime service, is likely capable of mounting some kind of assault on them. Google, Microsoft, and Amazon can all afford to keep services that don’t make a lot of money or have a ton of subscribers around because of how big they are, but everyone else in the streaming business but Spotify is headed off a cliff in the near future. Based on the numbers in this excellent article from Christina Warren, SoundCloud may be first, and it may not be long. How do you battle an opponent that has an overwhelming advantage in one area? You don’t fight them head-on there. You take the battle elsewhere, and give yourself a better chance to win by dictating the terms of the engagement. For all of Spotify’s subscribers and popularity, they have some glaring weaknesses. First of all, they have no other business but music streaming. Secondly, their only real leverage is their subscriber base. The recording industry doesn’t like them, and they aren’t the behemoth that Apple is, so they don’t have as much weight to combat that ill will. Artists dislike them even more because they are currently the big face of the music streaming industry that doesn’t pay them enough for their music. Lastly, and most importantly, they don’t make money. Even with over 50 million subscribers, Spotify isn’t profitable yet. When you are taking on literally the most sucessful company in the history of capitalism, that could become a problem. Spotify is exposed until they can prove to investors that they have a long and profitable future, and the fact that they keep delaying their coming IPO has raised eyebrows as to why. The point here is this- without solid profits, Spotify doesn’t have the ability to grow and expand into other parallel ventures to strengthen their core business. Right now, they are dependent on the labels, on the artists not revolting against them, and on Google and Amazon continuing to give them the equal footing on their devices that Apple doesn’t. This is should concern Spotify and others like them if they are forward-thinking. Apple has already done to other smartwatches and fitness bands what it did to tablets with the iPad. It moved in and took over with ruthless efficiency. Other products will always exist, but Apple OWNS both of these spaces. So, what does this have to do with Music? I might have asked the same thing until the AirPods came along. Actually, I would have kept saying it until I actually GOT my AirPods, because many of us don’t understand the allure until we actually use them. I was like that. I wasn’t sure that I would be keeping them when I ordered them, but after a few weeks, I am totally sold. I use them ALL THE TIME. I have them with me in my pocket EVERY DAY. I just finished listening to music for three hours straight with them while writing. They are just so damn easy to use, and they actually do sound good. Trust me, while they aren’t perfect, they are a LOT better than the EarPods they resemble. So Apple has a slow-burn hit smartwatch that is selling better than anyone expected after dismissing it at launch, and now they have a product that looks like a bona fide hit that they can’t keep in stock after several months on the market. How do these things fit together? What did Apple do on stage during the watchOS portion of the Keynote? They started talking about how well the Watch and the AirPods work together. Why? What is the number one purpose of wearables- fitness. What do people do while they are working out? They listen to MUSIC. What does the Watch now do inside of the Workouts app? It serves up playlists and music to fit your workout from within the app- using Apple Music. Apple just has two major wearable products so far, but they are already linking them together in the minds of customers. I can tell you from experience that, aside from the on-stage sales pitch and coming features in watchOS 4, the iPhone, Watch, AirPods, and Apple Music already form a really nice, tight little ecosystem. They already work together almost seamlessly. I typically use my Watch to control my music while using my AirPods because I can use either Hey Siri or the Music App on the Watch without interrupting my listening at all. My iPhone stays in my pocket while I’m at the store or up moving around, and it all “just works.” Even Siri works well with the Watch and the AirPods, thanks to their mics, at least for music control. Apple is still early on in this game, and they already have something compelling growing here. However, I think they are playing this pretty smart right now. They aren’t actively overselling any of it yet. They are letting it all come together, piece by piece. Users like me and others are singing the praises of how these gadgets and services work together, but other than a few bits here and there at the Keynote, they aren’t overplaying their hand yet. They are letting the success, reviews, and sales of all three do the talking right now. However, that will eventually change. Apple is eventually going to expand this lineup of wearables, and if subsequent products are as good and as successful as the first two, it is going to become a problem for other companies. Wearables aren’t unattainably expensive, and they are EXCELLENT gateway drugs into a ecosystem. In Apple’s case, a proprietary ecosystem. Many tech fans tend to frown heavily on anything proprietary, but this has its advantages. Proprietary systems are far easier to tightly integrate, and that is what Apple is doing right now. When everyday users see that kind of ease of use, it sells. However, after thinking about what Apple is doing with music right now, my opinion has been altered a bit. I wouldn’t be surprised at all if the marketing of the HomePod has more to do with Apple strengthening its music lineup than covering for Siri’s weaknesses. Think back to what Tim Cook said right before he unveiled the name. He made a direct link between the iPhone and AirPods as a portable music system and the HomePod and Apple Music as an in-home system. There are a lot of first-take articles out there with a negative view of the HomePod’s chances to gain ground against against Amazon’s Alexa and Google’s Home. They mostly hammer away on two points- that it only works with Apple Music (at least for now), and it’s $329 price tag. While $329 is quite a bit more expensive than any of Amazon or Google’s assistant products, that price is very much in line with prices of similar speaker products. As for the Apple Music limitation, I think we all know that’s by design. It all comes down to whether Apple can deliver on both the sound quality they sold us at WWDC, and whether Siri can hold up her end of the bargain. This all remains to be seen, and nothing is guaranteed to Apple here. 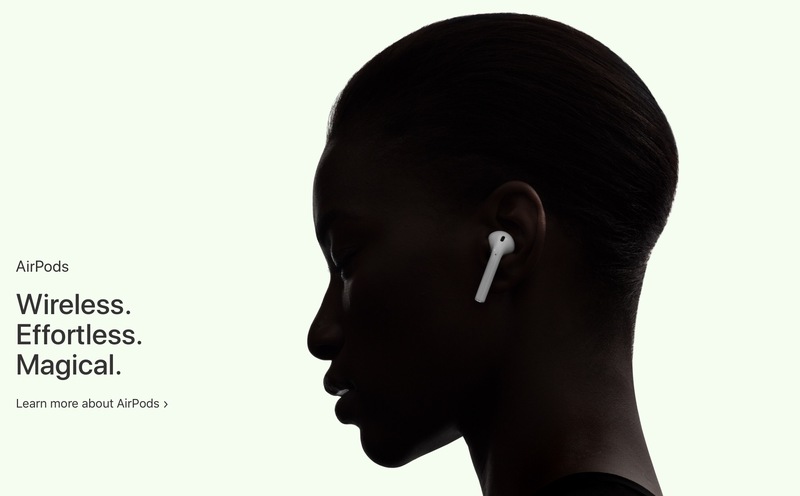 However, I can also remember reading MANY negative opinions from writers who saw the AirPods as too ugly, and figured they would sound like wireless EarPods that cost $150 right after Apple showed them off. Then they were delayed, and I think a lot of people just wrote them off. Sight unseen, they were fairly easy to dismiss. I did. 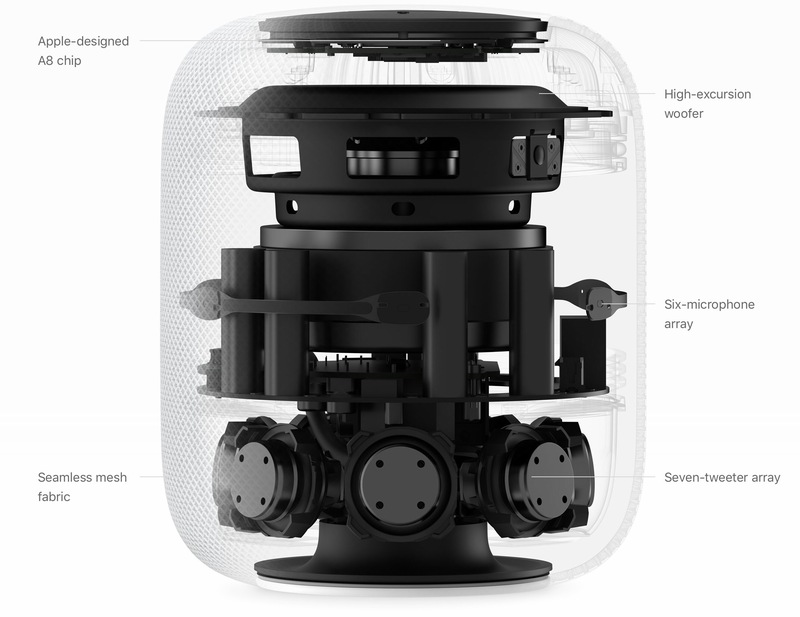 Considering that, I’m going to keep an open mind on the HomePod until I can try it and buy it. If it provides an experience anything close to the experience that the AirPods do, then it will sell. The important thing about that is every Spotify users who buys one is switching to Apple Music when they do. Watch, AirPod, and HomePod sales aren’t going to relieve Spotify of masses of users. However, they are going to take SOME. And they will do it in such a way that Spotify has no real defense for. They will never have the capital to play in these spaces, and they are reliant on others to keep them viable in the home. If Apple can start to chip away at these areas through their large music ecosystem, then the Apple and Spotify’s subscriber numbers should start growing towards each other, rather than apart. In my opinion, Apple is building up their arsenal for a war against the music industry as we know it. This is the real battle that’s coming, and Spotify will only be one part of it. Beats, Apple Music, the iPhone, the Watch, the AirPods, HomePod- all together these are convincing weapons, and I don’t think Apple is done building up their warchest yet, either. But at the head of this buildup are the two gentlemen who are about to star in a show on HBO. They are the ones who will lead this fight. Take a look at what Apple is doing in video right now. Other than Planet of the Apps (which is still drawing negative reviews right and left) ALL of the other content they are buying and creating has one focus- music. Carpool Karaoke. Artist Documentaries. Dr Dre’s Vital Signs. Clive Davis’ Documentary. Also, think about where the content lives right now. Not in the TV or Videos app. It’s in Apple Music. This is not an accident. Apple is reaching out to artists and people in the industry and showcasing them with video content. Music is already a stronghold for Apple, so it makes sense that they would start dabbling in video content there. However, I don’t think this is the only reason for what Apple is doing. Keep watching, because there’s going to be a steadily growing stream of these kinds of shows from Apple. Will they be massive hits? Probably not. But you know who this will have an impact on- Artists and influencers. Apple is positioning to become THE company that showcases artists and takes care of them. This is what Jimmy Iovine DOES, and he does it better than anyone. Why is this important? Because when Apple decides to cut the legs out from under the records labels and starts going direct to major artists, and I believe that they will in the next 3-5 years, it will be the relationships that they build and the credibility that they have that will win out. A lot of people in both the tech and music industries also think that this is where Apple is currently headed. If they can take major artists away from labels, then it could change the landscape of the music industry even more than iTunes did. It could be a complete reset of how the business works. If Apple has success doing this, then all of the major tech players will follow suit. It will be open season on the labels. They can’t compete with Apple, Google, Amazon, Microsoft, and Facebook, and I would bet that all of the above would be snapping up music talent right and left once the dam starts to crack. However, none of them will have quite the package that Apple will. Their focus on music right now is going to pay off when this goes down, and they stand the best chance of coming out on top when it all shakes out. You know who loses this war? The record labels, Spotify, and anyone else not listed above. If this were to occur, both Spotify and the labels’ best chances for survival would be finding a dance partner listed above. They depend on a business model that could cease to exist just as quickly as Spotify became the most popular music streaming service. The old music business model already has visible cracks, and Apple already had to come in and prop up with iTunes and the iPod years ago. But the equilibrium that Apple brought to the industry has been destroyed by streaming. Across the board, artists generally aren’t happy with the current state of the music industry, and with what they get paid for streaming music. The entire music industry is ripe for a shake-up, and if Apple has its way, it will be one for the books.